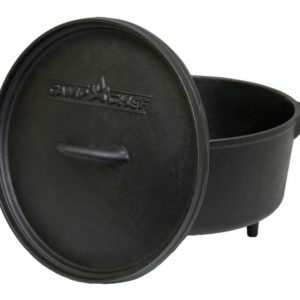 State of the art in lightweight dutch ovens, our line of Hard Anodized Dutch Ovens are one-third the weight of traditional cast iron dutch ovens. 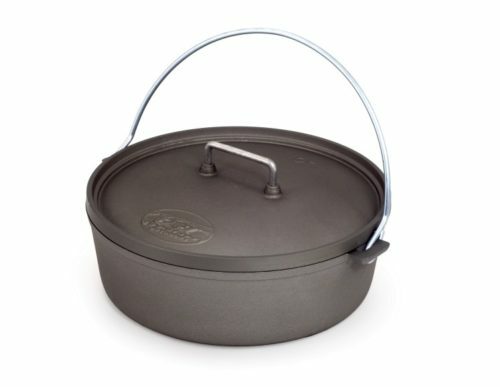 It’s even stack-able with the addition of our Dutch Oven Stand (sold separately) for multi-level, multi-course meal preparation. 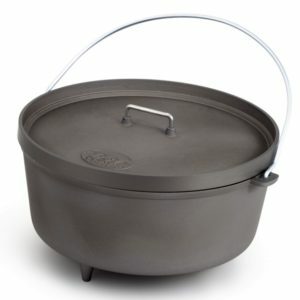 Made of High-performance, heavy gauge cast aluminum. 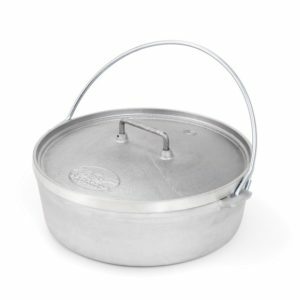 Cast aluminum construction weighs 66% less than cast iron and never requires any seasoning. 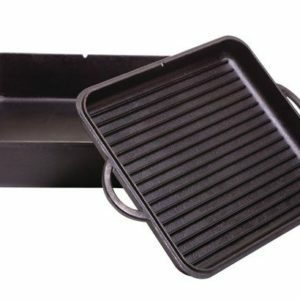 Hard anodized aluminum provides high-performance efficiency even heat uniformity and easily clean up. 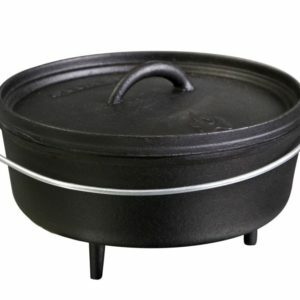 Lid lip holds coals and charcoal for all encompassing heat and oven-like cooking. 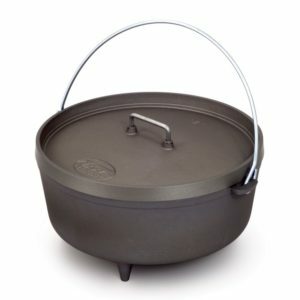 10” model nests inside 12” Dutch oven for compact storage. 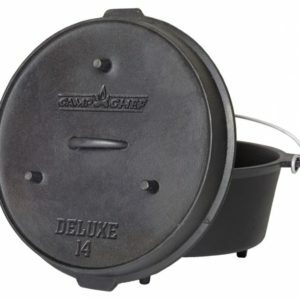 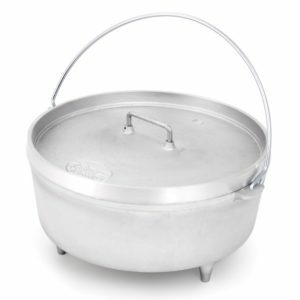 Camp Chef Classic 10 inch Deep Dutch Oven 5 qt.